Optimizing your website to be search engine friendly is the key to long term success online. SEO is the art of helping search engines understand what your website is about, how it relates to the rest of the web, if your website contains relevant content to searches, and getting your content to rank highly. The best part is that it’s the gift that keeps on giving. A little bit of time an money spent on SEO can pay HUGE dividends repeatedly. Creates relevant content that people will want to read and share – We help you create content that people want to read and share on social media because it’s worthwhile and provides useful and unique information on the pages of your website. Google is always striving to display the more relevant content in searches. They reward sites that provide accurate, relevant content that is enjoyable and readable. All images have SEO friendly titles and alt tags – Accurate and descriptive image titles are essential for a healthy website. Alt tags should be accurate and descriptive images or links in greater detail. Doesn’t try to trick Google – The house always wins. We follow Google’s Webmaster Guidelines, always. 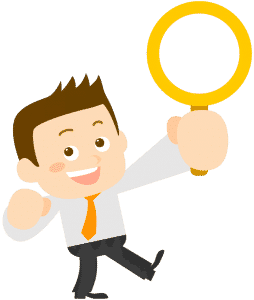 Submits your Sitemap to Google – We make your website automatically generate a sitemap to the major search engines to make sure they index your new content quickly. Every time your website is updated we notify Google, Bing, and Yahoo of the new content and submit a new sitemap to them. Includes a clear page hierarchy and text links – We help make sure your navigation and page structure is clear, concise, and easy to navigate. Internal links between pages are very important to helping Google understand your website’s hierarchy. Internal linking of pages of your site provide additional navigation options, improve the ease of navigating around your site, and improve Google’s understanding as to how the pages all fit together. Chooses words wisely – We modify your page titles, headings and content to contain words that accurately describe your content and include words and phrases relevant to searchers. Integrates Social Media sharing – Social sharing (Like, Tweet, +1, etc) is a growing part of SEO. Behind every social share is a real person who felt your website had something important enough to share. We make it as easy as possible for visitors to your site to share your content online. Blog at least once a week – Google loves relevant content, but it loves recent, relevant content even more! Recent content typically ranks higher than old content. By blogging once a week, Google will be automatically notified (see #4), and you encourage visitors to return to your site. We will either create the new blog posts for you as part of a content marketing strategy, or consult with you to create a blogging strategy. Each blog post will be optimized for additional keywords or phrases you want your website to rank highly on.